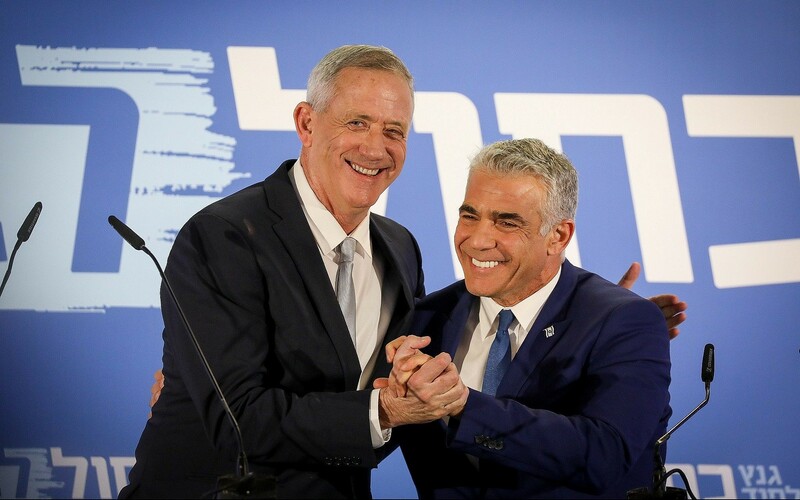 Israel Resilience leader Benny Gantz and Yesh Atid chief Yair Lapid appeared for the first time together Thursday evening to unveil their new joint Blue and White alliance, vowing to replace the ruling Likud after the April 9 elections. 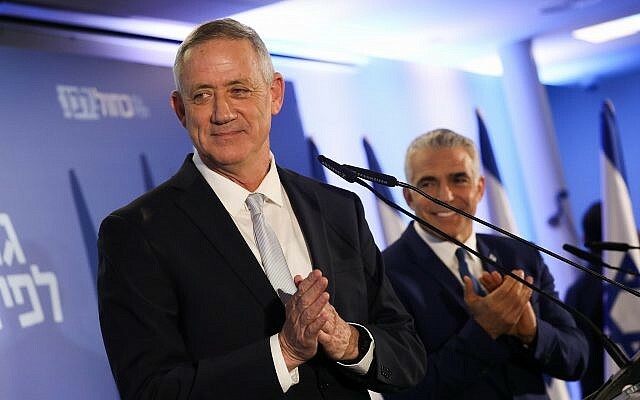 “Today we are changing the face of Israel,” Gantz said in a speech carried live on national television. Gantz added that he and those on stage with him, Lapid and senior partners Moshe Ya’alon and Gabi Ashkenazi, “each have an ego. We each have an agenda. But when we saw the country that is so dear to us being torn apart, we put our egos aside…none of us are above the people or above the country. Lapid said: “We are creating a ruling party. The Israeli public will go to the polls on the 9th of April to choose what kind of country they want, what sort of country their children will live in: a country of investigations, corruption and incitement or a country of hope, resilience and a promise for the future. Netanyahu chose [racist rabbi Meir] Kahane’s people as his partners. We choose each other, and more than that, we choose the citizens of Israel. Gantz revealed he shares some poignant family history with his new political partner. Both stressed the party was about inclusiveness. “Our doors are open to all: right-wingers, centrists, left-wingers…our hands are outreached to all Israelis: Mizrahi and Ashkenazi, religious and secular, Jews and non-Jews,” Gantz said. Ya’alon lashed Netanyahu for his push to get racist Kahanists into the Knesset. Shortly before the press conference, Ashkenazi purportedly told fellow faction members that President Reuven Rivlin would prefer their party to Likud when deciding who will form the next coalition after the elections, Channel 12 news reported. “I hope this train stops at the President’s Residence. I can only guess who the president wants to see there,” Ashkenazi reportedly said at the party’s first faction meeting in Tel Aviv. 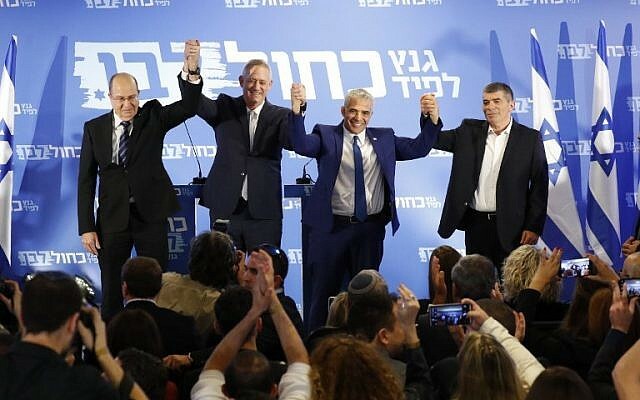 Gantz and Lapid’s comments came hours after an early-morning announcement that the parties would merge their lists in order to boost their bid to replace Likud. 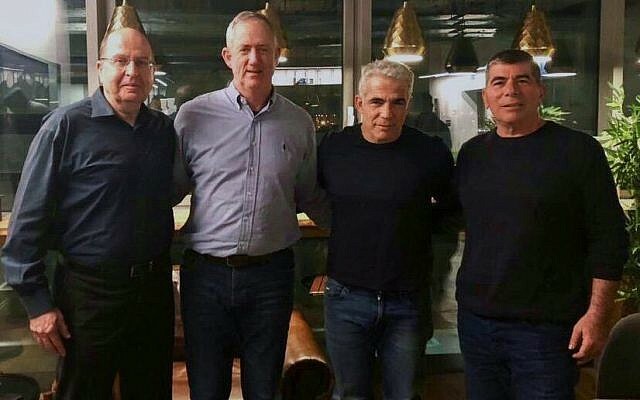 The merger deal includes a rotation at the top between Gantz and Lapid. The new alliance drew criticism from the right on Thursday. 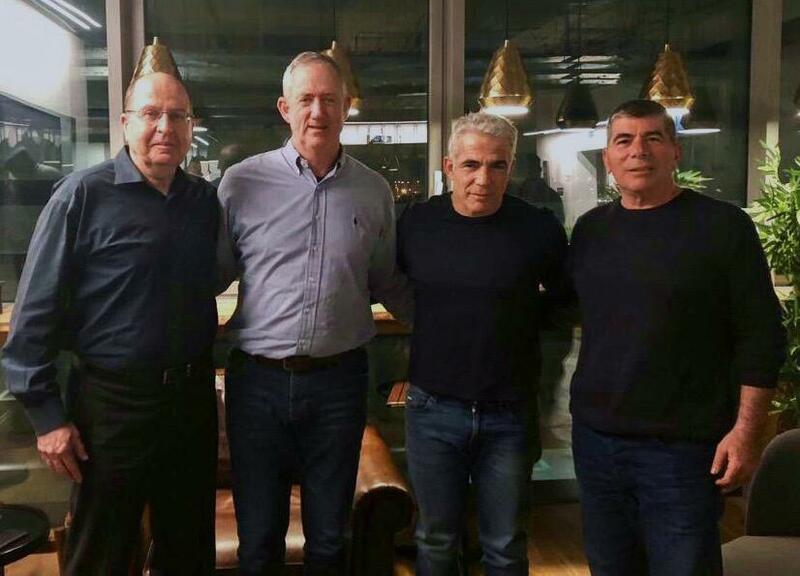 The first four first spots on the list are: Gantz, Lapid, Ya’alon and Ashkenazi. Of that quartet, only Lapid is not a former head of the army. In fifth place is Avi Nissenkorn, the head of the Histadrut labor federation, followed by Yesh Atid MK Meir Cohen. 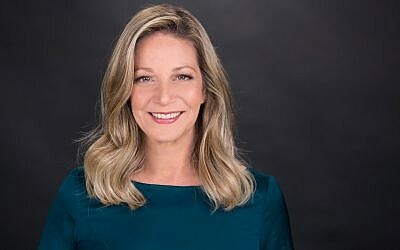 The top-ranked woman is former news anchor Miki Haimovich in the seventh spot, followed in 10th by Orna Barbivai, who was the Israeli military’s first female major general. Six other women were placed in the top thirty. 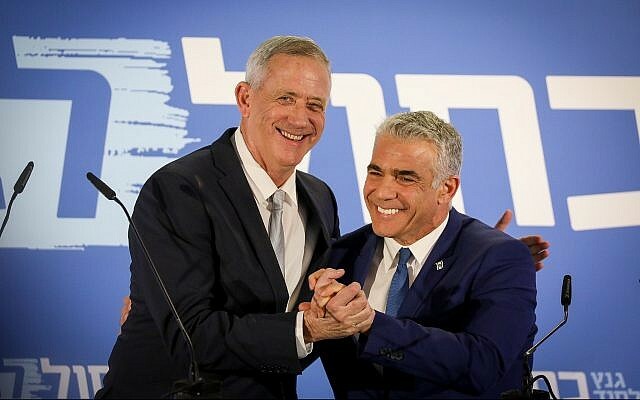 Gantz and Lapid would rotate serving as prime minister, with Gantz taking the post for the first two and a half years. Lapid will serve as foreign minister and Ya’alon will head the Defense Ministry while Gantz is prime minister — if they win the election. Lapid would then take over as prime minister from Gantz, who in turn would become defense minister. It was not clear from reports if Ya’alon would then be appointed foreign minister or receive another role. 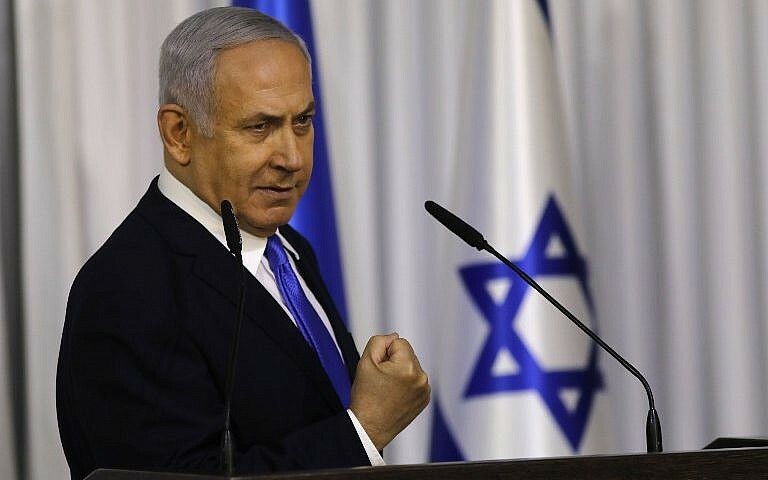 The Ynet news site reported that the deal also includes a promise by Gantz that the joint faction will not join a government led by Prime Minister Benjamin Netanyahu if the attorney general announces he intends to indict the premier in any of three corruption cases — even if no pre-indictment hearings have yet been held. Attorney General Avichai Mandelblit is expected to announce in the coming weeks whether he plans to charge Netanyahu, who has denied wrongdoing and vowed not to step down even if indicted.